The battle between Texas Instruments and calculator hobbyists rages on, as TI seeks to keep its OS locked away from third-party developers. After the calculator hacking community discovered the independent tool Ndless (which allows for third-party development on TI’s platform), TI has spent the last year updating its OS to prevent downgrading to version 1.1, which is necessary to run Ndless. Version 2.1’s anti-downgrade protection was hacked last summer, and just a month ago, calculator hobbyists broke into OS 3.0.1. TI retaliated by immediately adding an encryption check to ensure that any third-party programs won’t work with OS 3.0.2. The company has asked sites offering version 1.1 to remove it from public download in the past, but this time the company has even targeted those linking to sites with OS 1.1. The discussion entitled “ Fun Number Theory Facts ” located at the following URL http://www.unitedti.org/index.php?showtopic=8888 and the link to the personal website of “brandonw” at http://brandonw.net/. 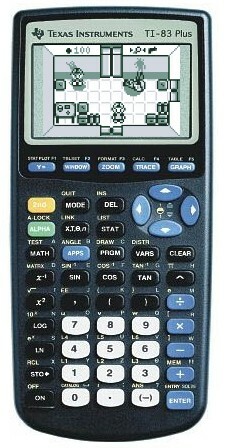 Texas Instruments Incorporated (“TI”) owns the copyright in the TI-83 Plus operating system software. The TI-83 Plus operating system uses encryption to effectively control access to the operating system code and to protect its rights as a copyright owner in that code. Any unauthorized use of these files is strictly prohibited. http://blog.makezine.com is distributing or providing links to information (http://www.unitedti.org/index.php?showtopic=8888 and http://brandonw.net/ found at http://blog.makezine.com/archive/2009/08/ti-83_plus_os_signing_key_cracked.html) that bypasses TI’s anti-circumvention technology. By providing copies of or offering links to such information, http://blog.makezine.com has violated the anti-circumvention provisions of the DMCA at 17 U.S.C. §§ 1201(a)(2) and 1201(b)(1). Please confirm to the undersigned in writing no later than noon on **/**/**** that you have complied with these demands. You may reach the undersigned by telephone at ***-***-**** or by email at **********@ti.com. TI reserves all further rights and remedies with respect to this matter.